the next steps in implementing the Long Term Plan. So where does Pharmacy fit into the plan? Well, for those who like to count such things, it seems quite a lot with over 20 mentions and more than 10 references to community pharmacy’s role, particularly within Primary Care Networks. We need to be looking at potential solutions, not focussing on negative interpretations and semantics. Inevitably there are both risks and opportunities for community pharmacy in here so the next steps are critical for a successful future. PSNC’s negotiations with NHS England and DHSC must ask the right questions of the right people to understand how community pharmacy can be part of the implementation and delivery of the plan’s ambitions. 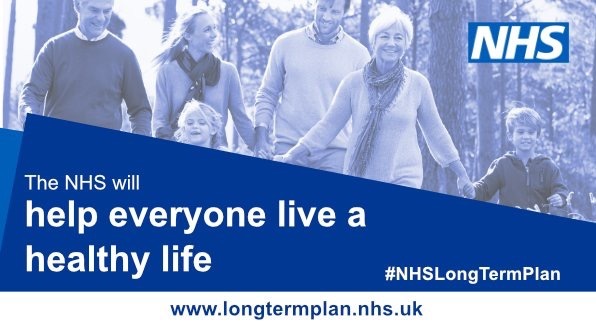 A new sustainable contractual framework must be developed quickly and support provided for its implementation and delivery against the national and local NHS needs to help address population health and wellbeing inequalities. A framework which is equitable and drives the right behaviours and consistent quality outcomes. In addition, the reimbursement model must change to be fair and equitable. Integrated Care Systems (ICS) are due to be in place everywhere by April 2021. As they are to be central to delivery of the plan, there is a major influencing and leadership role for Local Pharmaceutical Committees (LPCs) by working with ICSs and CCGs to ensure that community pharmacy is firmly embedded, supported and active within the Primary Care Networks. Individual pharmacies must also engage with their emerging local Primary Care Network to understand who are the key stakeholders and hence who to influence and about what priority health issues. Ask not what the NHS can do for community pharmacy but what can community pharmacy do for the NHS and population health. This is where any new money will flow through so critical for a sustainable future. It is now ten years since the Healthy Living Pharmacy initiative was developed in anticipation that community pharmacy could play a bigger and better role in improving the health and wellbeing of the communities we serve and support. It was predictable then that a supply-based contract could not be sustainable in the long term and a shift to a quality-led, service-based contract including pharmaceutical care, supply and prevention would come. Hence the then, and continued focus on organisational development. Let us not miss this opportunity to make it happen both for pharmacy and the health of our local populations.